Looking for an all-around accessible treat for your cheese board? Green Hill from Sweet Grass Dairy should be right in your wheelhouse. Cheesemakers Al and Desiree Wehner of Thomasville, Georgia use a New Zealand-style Intense Rotational Grazing method with their cows (the process of moving cows from pasture to pasture over a 24-hour time period), which ensures fresh green grass and happier cows. 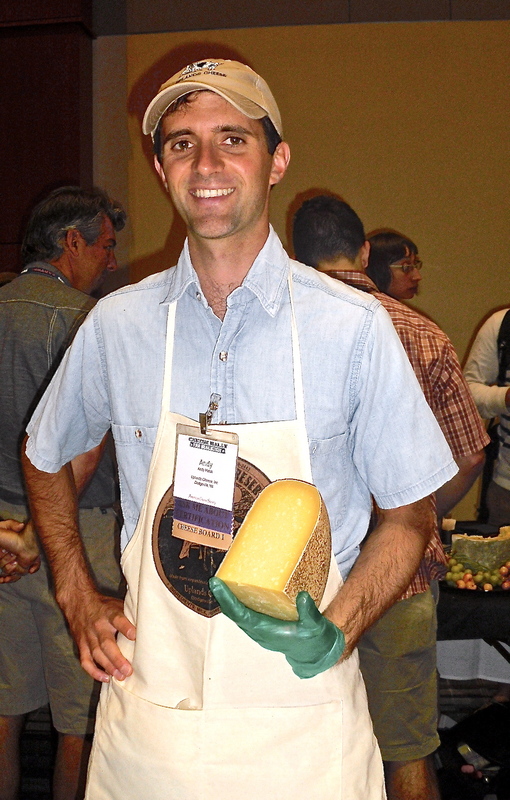 The resulting 2007 American Cheese Society winner offers a rich, earthy, grassy, buttery flavor and a soft, silky texture. A white, bloomy rind surrounds a bright yellow center caused by the high butterfat, also a result of their grazing practices. 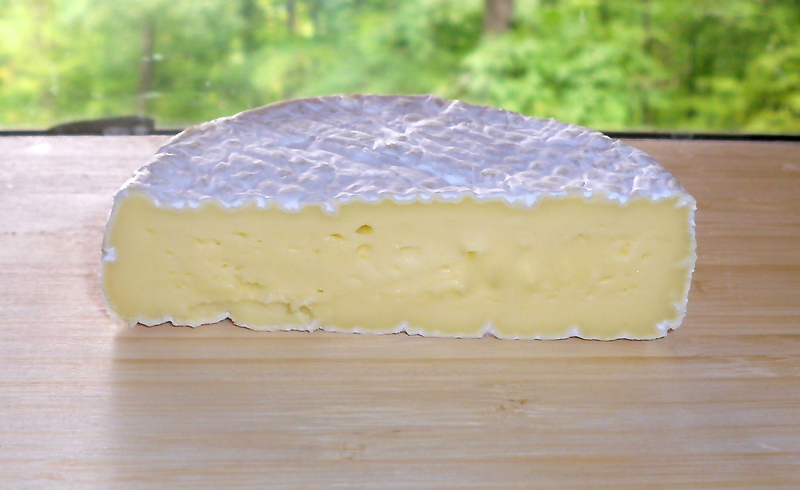 Green Hill is a young cheese, pasteurized and aged about three to six weeks – it has the look of a Brie or Camembert, but that’s where the similarity ends. The mild yet complex taste of this cheese is a complete crowd pleaser. Even those who say they aren’t fans of Brie and Camembert will be pleasantly surprised when they fall in love with Green Hill. Pair it with some apricot compote for a sweet-tart tasty treat and a bright Chardonnay to cut through the richness. Available year round at most better cheese shops. Not all stinky cheeses are created equal. Some are overtly funky from smell to taste. Others smell intense yet have a delicious mild flavor. Hard and crumbly or soft and runny, I love them all. That being said, not all fumigating fromages are created equal. Here is the first of what I hope to be many compare and contrast tastings. I was a pretty ticklish kid. So ticklish, my mother would just have to say “Tickle Tickle Tickle” in my general direction and I would be on the floor, rolling with laughter. To be honest, it was agony and I have since learned to turn off my tickle button. After tasting this rare treat, I may have to turn it back on! Ticklemore cheese was originally made at Ticklemore Dairy by Robin Congdon, Ticklemore is now produced at Sharpham Creamery by Debbie Mumford (Debbie trained under Robin before taking over the cheesemaking). This unique cheese is made from vegetarian full-fat, pasteurised, goat’s milk and hand molded in small baskets and turned twice weekly during its three-month maturing phase. The rind retains the shape of the basket which has been described as having a UFO appearance. While cold, Ticklemore has a flaky, pillow-y texture that “tickles” the tongue with light aromatic flavors. As the cheese becomes room temperature, the airy bubbles and flaky texture become soft slightly runny. 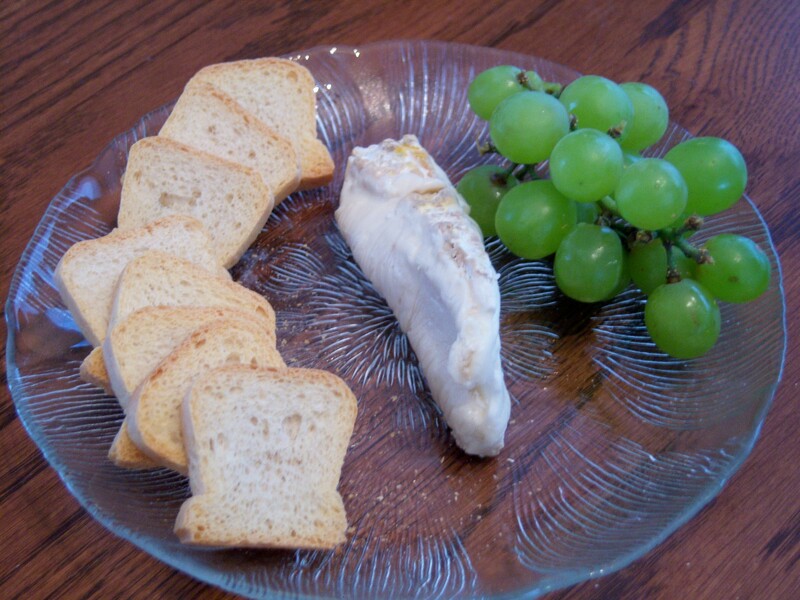 The Camembert flavors from the rind are more pronounced and assertive as well. I am more partial to the taste at room temp yet I can see the appeal of the airy texture. The grapes balanced out the flavor even more. Ticklemore is difficult to find and the price reflects its rare status. At $40.00 per lb. I don’t see purchasing large quantities anytime soon. 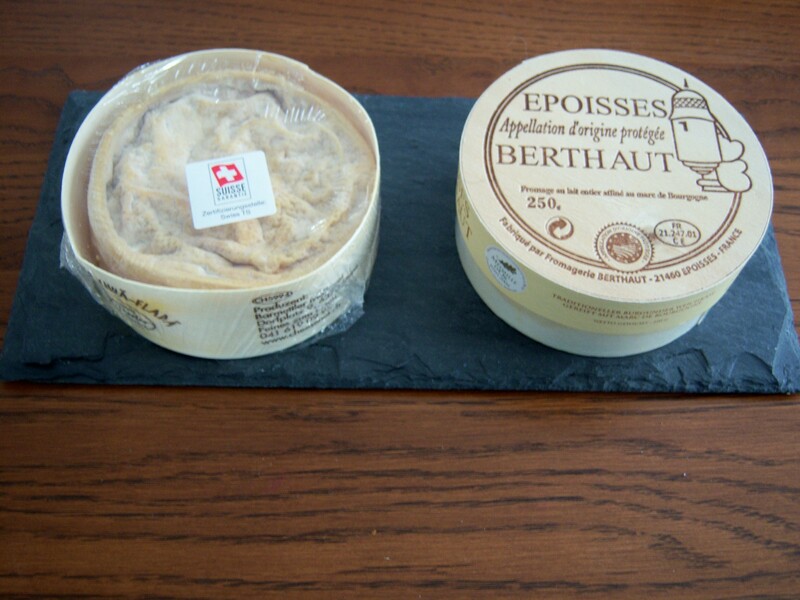 It is a cheese I would recommend trying (in small amounts) at least once, if you can find it.